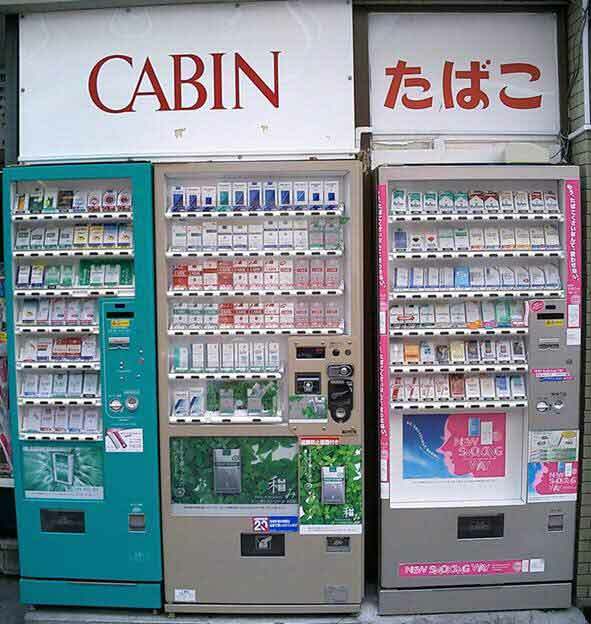 Cigarette vending machines. Beer vending machines too. 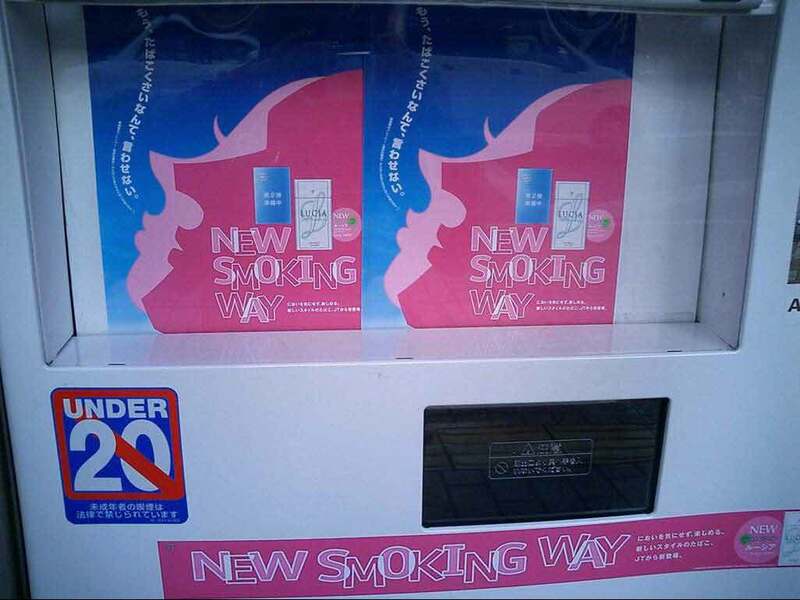 Hmmm... no smoking if you're under 20, but this vending machine is just out on the street. Who's to stop you?